Students from the Thomas Hardye School are celebrating another series of excellent Extended Project Qualification results. Extended Project students are required to undertake a research project on a topic of their own choosing, with support from a supervisor. Well over half of all candidates achieved either an A* or an A, well above the national average. The EPQ is held in very high regard by Universities, many of whom will make an alternative offer based on a student’s EPQ. What is the effect of global warming on Adelie penguins in Antarctica? Does slum tourism serve the individual or the community? Can a dog skeleton be used to educate young people about the effects of canine obesity? A piece of swanskin created using as many original techniques as possible, and a set of instructions for the preservation of historical skills. 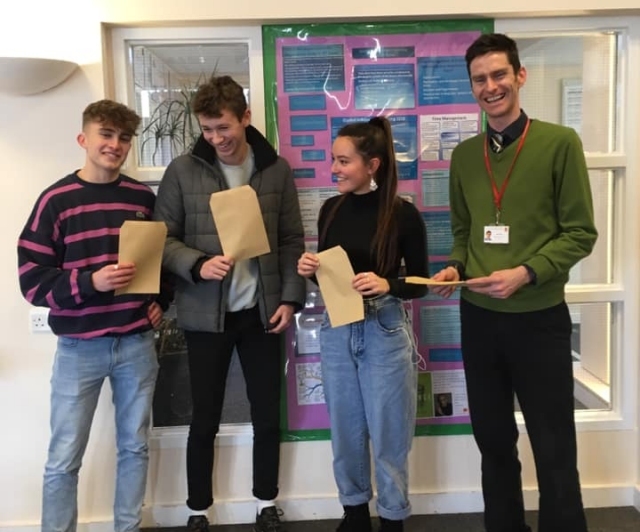 Many congratulations to the students and to Mr Hall- EPQ coordinator for these fantastic results.